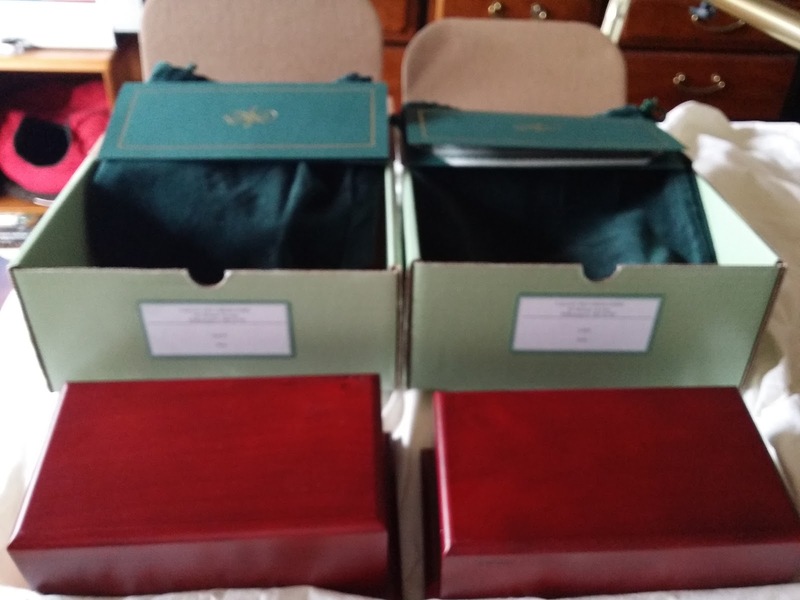 I picked up Jake cremains from our Vet on Friday; now I have two boxes. I placed them on the bed so as to inspect them. For what, I’m not sure. I guess I thought it was a good time for reflection, of them, mortality, life, death…moments. Moshe Moshi hopped on the bed, took a sniff and went about his business. Lexi Liu is pawing at my pant leg trying to get me to play. I am for that moment sad as I look at them, two small cats in large wooden boxes, together but not really. It seems lonely to me. Looking at my emotional state not as sad as I thought I’d be at the finality of their state; just feel bad that they look so lonely; each in a box. 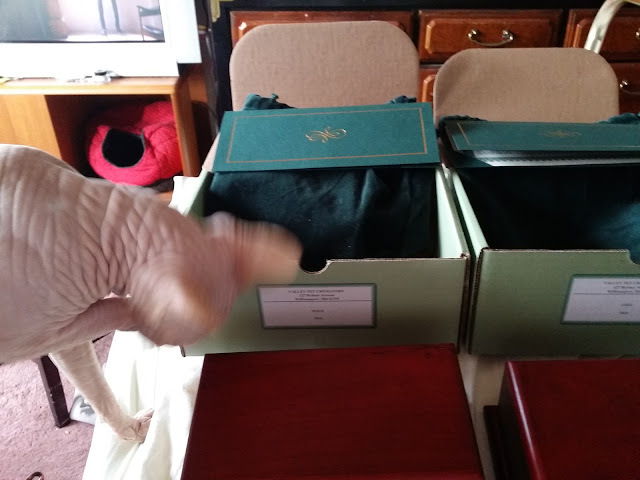 I know like Maus I had to get a different receptacle to hold her cremains. The box was so big, heavy and drab compared to how she was in life. However, I had such a hard time picking out Maus’s urn. I canceled the order. I’m not a superstitious person, but I wonder if it was not fate that delayed my decision. 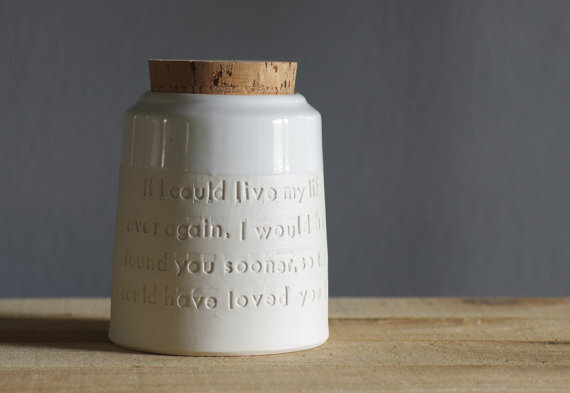 On the anniversary of Maus’s death, I was going to order a ceramic urn for her cremains. I was having a hard time doing it; trying to get the words on the urn right. Then the next month I found out how poorly Jake was doing and I put it off. Meaning to be a bit cliché’, as fate would have it I’m now glad I delayed the order. Jake and Maus never new a day apart from each other in my home until Maus died. It was hard on Jake, and I know he missed her. Now I know why they looked so lonely in the wooden boxes; they were not together. I decided to get one Urn for them both and mix their cremains together. They were together in life, and now they can be together always. Along with their dates, I think that's what I'll put in the jar. I ordered the urn this morning. 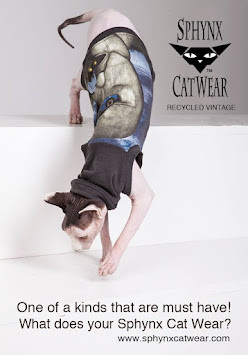 It should be here in 8 weeks. I’ll post it when it arrives. I think that is a beautiful idea.